TEHRAN, Iran — Iranian Supreme Leader Ayatollah Ali Khamenei on Thursday dismissed a trade mechanism launched by European countries to bypass renewed US sanctions as a “bitter joke” and said Europe could not be trusted. 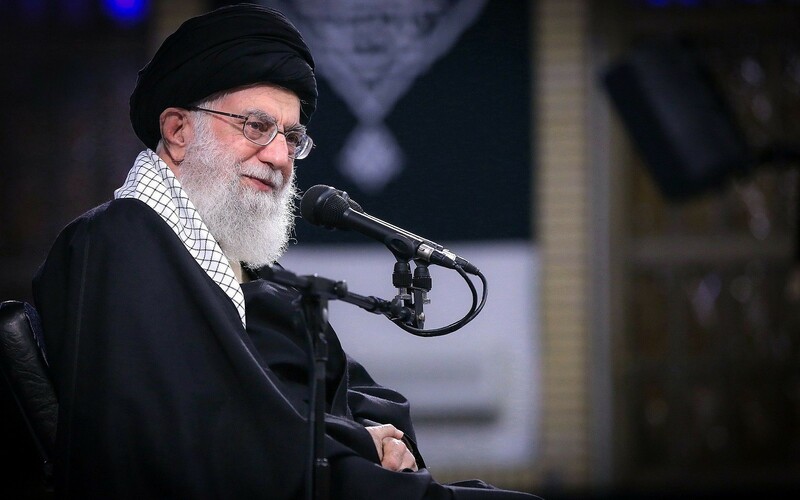 “This financial channel they recently set up resembles a joke, a bitter joke,” Khamenei told a thousands-strong congregation in a televised address at a shrine in the northeastern city of Mashhad, where he speaks every year to mark the Iranian New Year. Britain, France and Germany launched the special payment system called INSTEX — Instrument in Support of Trade Exchanges — in late January after US President Donald Trump abruptly quit the 2015 nuclear deal between Iran and world powers in May last year. The three countries were the European signatories to the deal, also signed by the US, Russia and China, that curbed Tehran’s nuclear ambitions in return for sanctions relief. “We should completely forego [any hope] of help or cooperation from Westerners in strengthening our economy, we shouldn’t wait for them,” he said. “They wear suits, they put on ties and eau de cologne and carry Samsonite briefcases, but they are savages,” Khamenei said. “What I am saying does not mean [Iran] should cut Western ties, not at all… there is no problem in having relations with them, but trusting them is a mistake, don’t trust them,” he said. Iran on Tuesday registered a parallel structure to INSTEX called the Special Trade and Finance Institute or STFI, the semi-official ISNA news agency reported. “With the registration of STFI, we expect that, in cooperation with INSTEX, it would facilitate trade between Iran and Europe and be influential in countering limitations caused by US sanctions,” said Iran’s central bank governor Abdolnaser Hemmati. Earlier on Thursday, Khamenei called the economic difficulties of Iranians the most urgent problem facing the country. “Specially in recent months the difficulties for people’s livelihoods have increased,” Khamenei said in a prerecorded message to mark the March 21 start of the New Year. “The economy is the country’s urgent problem, it’s the country’s [most] serious and primary problem,” he said, pointing to the rial’s devaluation, decline in purchasing power and falling production. This entry was posted on March 22, 2019 at 10:07 AM and is filed under Uncategorized. You can subscribe via RSS 2.0 feed to this post's comments. You can skip to the end and leave a response. Pinging is currently not allowed. Yes, it is bitter joke. But, mullahs terribly need it. It is a conduit for their kelptocracy, money laundering, illegal investment in Europe, circumvention of sanctions, terrorism funding, paying salaries to their operatives and fascist European politicians, etc.